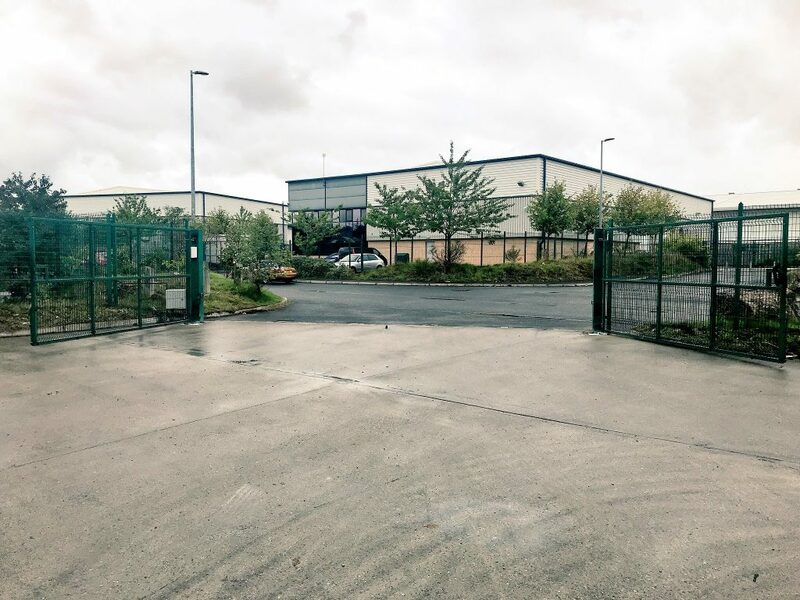 Job Specification – To supply and fit an automation system to operate the double set of swing gates, and allow entrance and exit for visiting heavy goods vehicles delivery to the site. 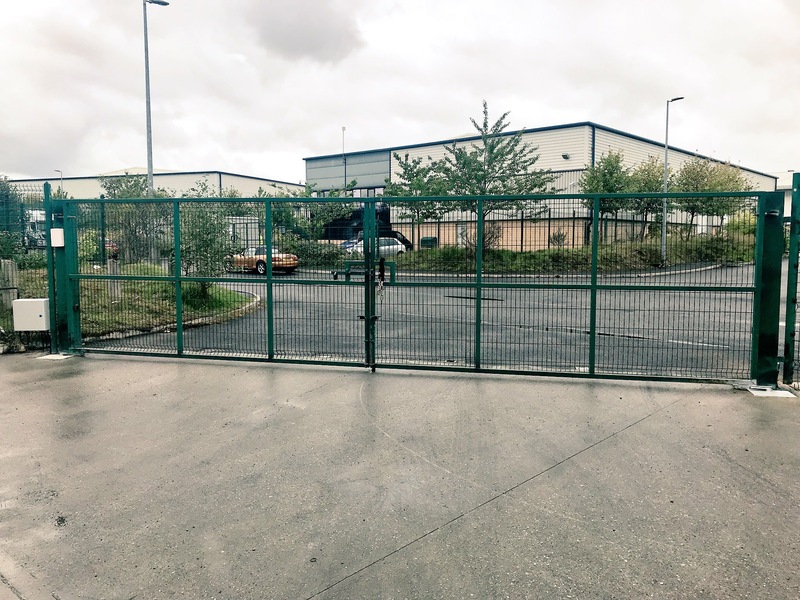 One gate leaf was fitted with a 360 degree chain opening kit to allow the gate to travel its full distance and allow access for trailers to be much easier. All controls are to be housed within a lockable housing due to vandalism issues within the area. Job Location – Salford, Manchester. 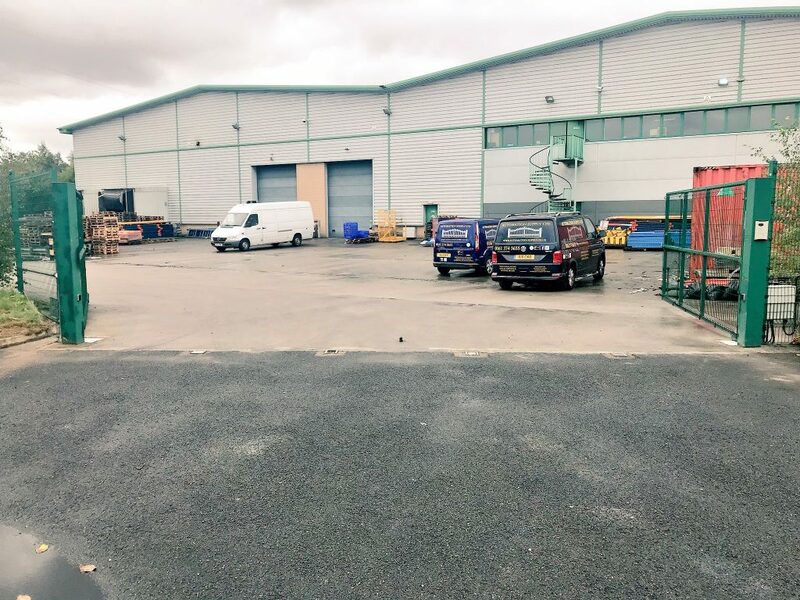 Operating System– The gate system is operated by a wireless Diatem intercom system with built in keypad and senior members of staff have use of remote control transmitters. 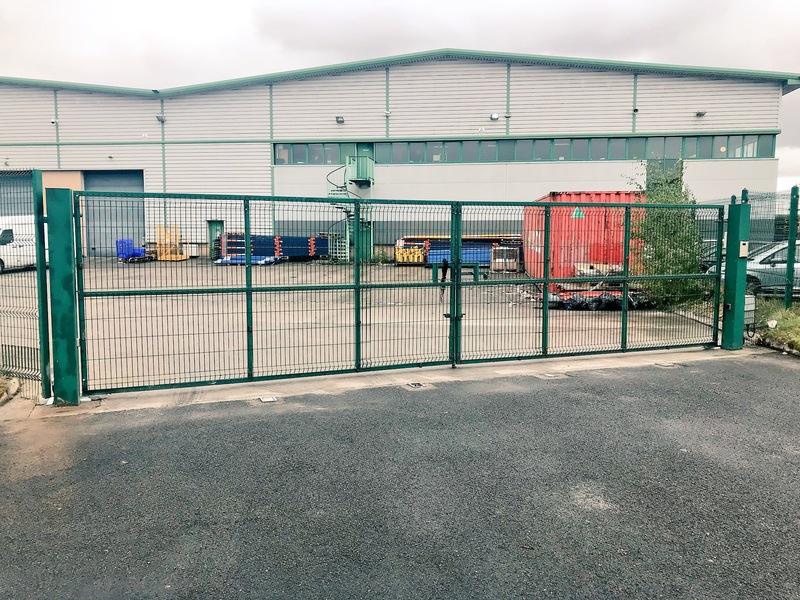 Regulations and Health & Safety– The gate has built in obstacle detection and one set of safety photocells fitted across the opening, a safety loop was also fitted within the gate opening to prevent them from closing onto a vehicle. All trap, drag and crushing hazards have been tested to make sure the force pressure meets current regulations.